Ketchum Urban Renewal Agency officials are defending their selection process for a new board member following criticism of the process by Anne Corrock, a former Planning and Zoning Commission member who has applied to fill a vacancy on the board. The URA is looking for a person to fill a board seat vacated in December by the resignation of former URA Commissioner Nina Jonas, also a Ketchum City Council member, who said she resigned because she felt the seat should go to someone who is not a city official and who has real estate experience. She said the two entities should not be so “intertwined” and the URA’s purpose is to increase property values within the city. In January, the URA published an ad in the Mountain Express seeking applicants. Eshman said Corrock was the only person to apply before the Feb. 8 deadline. In its March 27 issue, the Idaho Mountain Express published a letter by Corrock in which she stated that she never received a response. Corrock asked about the selection process at a URA meeting on March 18. 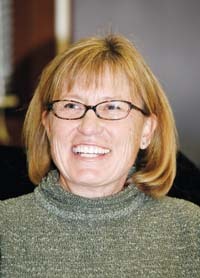 In an interview, URA Commissioner and Ketchum Mayor Randy Hall said the URA owed Corrock an apology for not replying. In her letter, Corrock stated that Eshman told her that no appropriate candidates had applied. In an interview, Corrock said she would “absolutely” still be interested, but that at this point she’s more concerned with the selection process than the seat. At the meeting, Corrock said that if the URA really were awaiting more applications, it should inform the public that the application period is still open. The URA published an ad to that effect in the March 27 issue of the newspaper, stating a new deadline of April 30. Eshman said he’s received a few more responses. “In May, we’ll submit some other names to the board. Anne’s will be one of them,” he said. Corrock unsuccessfully spearheaded an effort in 2011 to change the city’s form of government. The initiative would have transferred the administrative power of the mayor, Hall, to a city manager.